If you’ve ever been speed dating or better still, watched how it works via a montage of disastrous results in a romantic comedy, you will know that it can be daunting and you need to convey the right amount of charm and bring your wittiest banter to progress to a date lasting longer then 30 seconds. 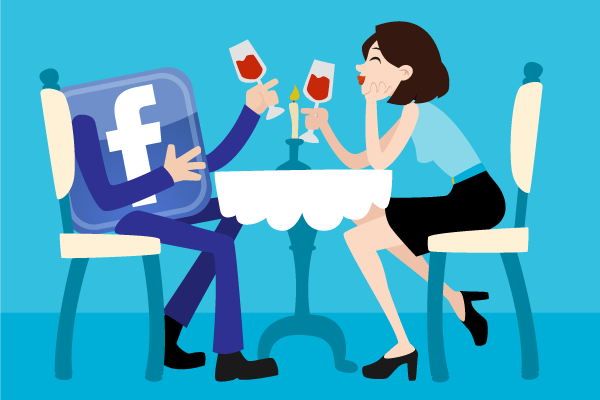 Portraying your business through social media can draw so many parallels to speed dating. Here are the top three. You wouldn’t interrupt your date’s story about climbing Everest to go on and on about your new cordless vacuum cleaner. Chances are your date will lose interest in your conversation and eventually in you. Don’t interrupt a subject your date (or customer) is interested in to talk about yourself, instead BE what your date (or customer) is interested in! You DON’T want to be non-responsive. If you are picking at your nail-beds or rolling your eyes while your date is trying to ask you questions, chances are they will lose interest pretty quick. Just like speed dating, when engaging with clients through social media, you only have a short period of time to make a good impression so make sure you can respond in a timely manner, and ask questions to find the best solution for your client. You DO want to be yourself. There is nothing worse than finding out that your date – the basketball superstar with a pet dog – is actually allergic to dog fur and has zero hand eye coordination skills. The same goes for portraying your business on social media. By all means be the very best version of yourself, but don’t try and be something you’re not. Remember that just like celebrities, your customers and clients are human too! They appreciate the human element of social media. They are scrolling through their Facebook feed to see what their friends – yes! They might even consider you a friend – are up to. So, give them something worthy of a like, comment or share.